Superhero Stories: Superheroes have been saving the world since they first arrived in late 1930s comic books and Hollywood's counting on them to keep driving the boxoffice for years to come. Disney's Marvel Studios has for years enjoyed legendary success with comic book based blockbuster franchises like "The Avengers," "Iron Man," "Spider-Man," "X-Men" and "Captain America." Marvel's most recent comic book smash, "Guardians of the Galaxy,"crossed the $700 million mark at the worldwide boxoffice earlier this month. Its domestic theatrical cume through last weekend was an enviable $328.6 million. That's all the more impressive because "Guardians'" roots are in a second-tier comic book franchise whose characters weren't familiar to moviegoers the way superheroes like Spidey and the X-Men were. Over the years, Warner Bros. has also scored big at the boxoffice with comic book based franchises like "Superman" and "Batman." Now Warner has announced plans to fully exploit its valuable library of DC Comics characters through a series of 10 or more superhero films to hit theatres from 2016 through 2020. The first of these, "Batman v Superman: Dawn of Justice," is set to open in 3D worldwide Mar. 25, 2016. 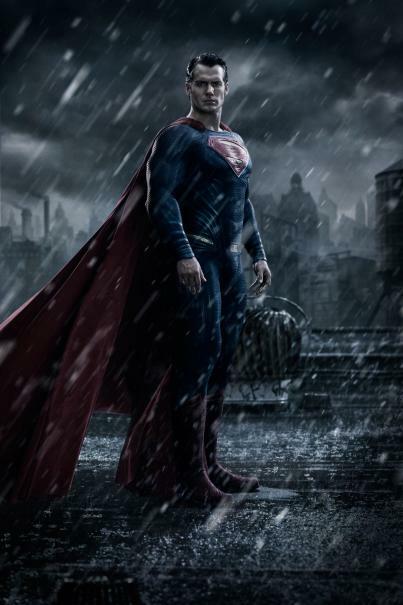 Directed by Zack Snyder ("Man of Steel"), it stars Henry Cavill as Clark Kent/Superman and Ben Affleck as Bruce Wayne/Batman. "Justice's" stars also include Gal Gadot (Diana Prince/Wonder Woman), Amy Adams (Lois Lane), Laurence Fishburne (Perry White), Diane Lane (Martha Kent), Jesse Eisenberg (Lex Luthor), Jeremy Irons (Alfred) and Holly Hunter (in a new U.S. Senator role created for the film). Written by Chris Terrio ("Argo") from a screenplay by David S. Goyer ("Man of Steel"), "Justice" is produced by Charles Roven ("Batman Begins," "The Dark Knight," "The Dark Knight Rises," "Man of Steel") and Deborah Snyder ("Man of Steel," "300: Rise of an Empire"). Its principal photography is being done at Michigan Motion Picture Studios in Pontiac, Michigan and at various locations in Detroit (doubling for Metropolis), Illinois, Africa and the South Pacific. "Justice," according to WB, is based on Superman characters created by Jerry Siegel and Joe Shuster, Batman characters created by Bob Kane and Wonder Woman created by William Moulton Marston, all appearing in comic books published by DC Entertainment. There's tremendous excitement about "Justice" because for the first time it assembles in one movie some of DC Entertainment's most popular characters. That's a formula that's already paid off handsomely for Disney and Marvel with their 2012 blockbuster "Marvel's The Avengers." After opening domestically May 4, 2012 to $207.4 million, "Avengers" went on to gross $623.4 million in domestic theatres and $895.2 million internationally for a global cume of $1.5 billion. Needless to say, a fabulous new Marvel franchise was born right there and then! 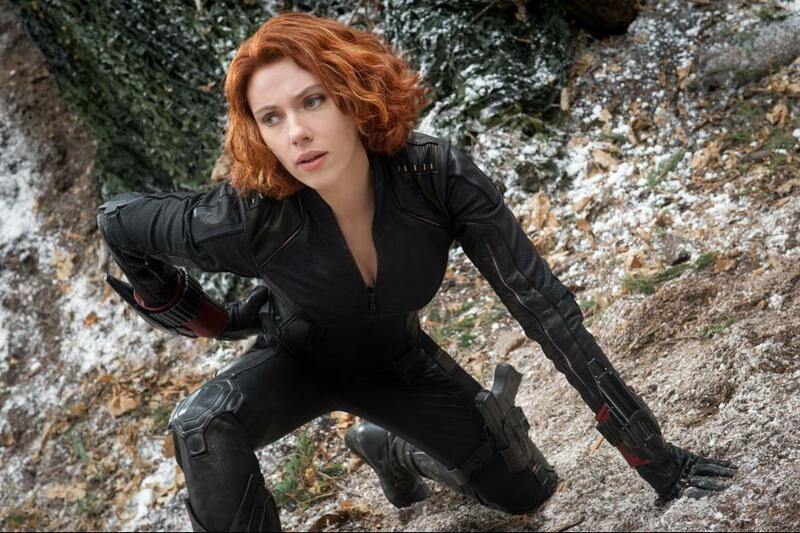 The series' next 3D episode, "Avengers: Age of Ultron,"will open May 1, 2015. Written and directed by Joss Whedon ("The Avengers") and produced by Kevin Feige ("The Avengers" and numerous other Marvel hits), it's based on Marvel's comic book series "The Avengers," first published in 1963. An indication of the tremendous want-to-see that "Ultron" already has is that when Disney/Marvel released the film's first teaser trailer last week – after it had just been leaked on the Internet -- it broke records by generating 34.3 million views worldwide its first day. The previous record was set by Disney/Marvel's "Iron Man 3" with 20 million global first day views in 2013. "Ultron" stars Robert Downey Jr. (Tony Stark/Iron Man), Chris Evans (Steve Rogers/Captain America), Chris Hemsworth (Thor) and Mark Ruffalo (Bruce Banner/The Hulk). Together with Scarlett Johansson (Natasha Romanoff/Black Widow) and Jeremy Renner (Clint Barton/Hawkeye) and with Samuel L. Jackson (Nick Fury) and Cobie Smulders (Agent Maria Hill), the team reassembles to defeat James Spader as Ultron, a terrifying technological villain bent on human extinction. Along the way, they confront two mysterious and powerful new series characters -- Wanda Maximoff/Scarlet Witch (Elizabeth Olsen) and Pietro Maximoff/Quicksilver (Aaron Taylor-Johnson)-- and meet an old friend in a new form when Paul Bettany becomes Jarvis/The Vision. In "Ultron," when Tony Stark tries to jumpstart a dormant peacekeeping program, things go awry and Earth’s Mightiest Heroes -- including Iron Man, Captain America, Thor, The Incredible Hulk, Black Widow and Hawkeye -- are put to the ultimate test as the planet's fate hangs in the balance. 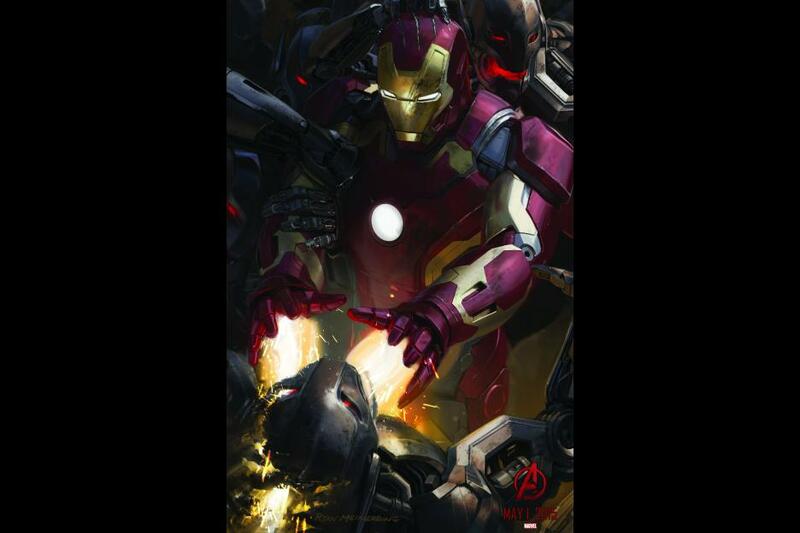 As the villainous Ultron emerges, The Avengers must stop him from enacting his horrific plans. Soon, uneasy alliances and unexpected action pave the way for an epic and unique global adventure. Clearly, Marvel has a strong shot at dominating the 2015 boxoffice chart with "Ultron" just as it did in 2012 with "Avengers." By 2016, Warner Bros. will be competing on the comics driven movie front not only with "Justice," but also with "Suicide Squad," a lower tier comic book coming to the screen from director David Ayer ("Fury," "End of Watch"). In announcing its extensive slate of high profile comic book driven films, WB confirmed reports that "Squad's" also in the works for 2016. While it's a lesser known title revolving around antiheroes, so was "Guardians" and its staggering sleeper success proved obscurity doesn't really matter to moviegoers if the story and marketing are right. Recent reports have indicated that WB has A List star casting in mind for "Squad," which would clearly elevate its profile when it hits the marketplace. Meanwhile, the rest of WB's slate of DC Entertainment movies is decidedly top tier when it comes to audience awareness. "Wonder Woman" will surface in 2017 with Gal Gadot ("Fast & Furious 6") starring. By then, she'll be well known thanks to 2016's "Justice." "Wonder's" obvious appeal to women should give it a leg up on other comic book based films revolving around male superheroes and appealing mostly to male action audiences. There's early talk that WB wants to find a female director for "Wonder." If that works out, it should also boost the movie's marketability to female audiences. WB will be back in the realm of high male appeal superhero action with its 2018 titles "The Flash," starring Ezra Miller ("We Need to Talk About Kevin") as Barry Allan/The Flash; and "Aquaman," starring Jason Momoa (TV's "Game of Thrones") in the title role. "Aquaman's" plot isn't known at this very early point, but you can certainly expect to see water figure prominently in its storyline. In "Flash," police scientist Barry Allen is working in his lab during a late night storm when he's drenched from lightning suddenly strikingsome chemicals. After the accident, Barry can move at super-speed and turns into The Flash to protect Central City. Among "Flash's" many screenwriters are Greg Berlanti, who wrote scripts for the TV series "The Flash" and was a writer of the 2011 feature "Green Lantern;" and Geoff Johns, who wrote episodes of TV's "The Flash" and "Smallville" and has numerous other comic book related TV and video writing credits. From there it's on to 2019 and "Shazam" as well as a Justice League sequel. "Shazam" is based on the high profile superhero Captain Marvel, who first appeared in February 1940 in Whiz Comics issue number two. That was slightly before the spring 1940 launch of the comic book "Batman" from artist Bob Kane and writer Bill Finger (who was uncredited for years). The character Batman had first appeared in the May 1939 Detective Comics issue number 27. "Superman" had led the superhero way, first appearing in June 1938 in Action Comics issue number one from National Periodical Publications, which later became DC Comics. "Superman," created by Jerry Siegel and Joe Shuster, began publication under its own banner in June 1939. In the early 1940s, however, "Captain Marvel" comics were so popular that they reportedly outsold all other superhero comics, including "Superman." "Captain Marvel" was conceived by Charles Clarence Beck and writer Bill Parker. The character got his name from artist Peter Costanza to replace his original name Captain Thunder. Its now famous storyline revolved around a homeless newsboy, Billy Batson, who's brought to an underground cavern where a 3,000 year old man called Shazam, with white robes and a flowing white beard, empowers him to defend the poor and helpless and crush evil as Captain Marvel. To transform himself into Captain Marvel, Billy need only speak the word Shazam, which stands for Solomon's wisdom, Hercules' strength, Atlas's stamina, Zeus's power, Achilles's courage and Mercury's speed. "Captain Marvel" is especially notable because it was the first superhero comic book to be adapted to the screen. In 1941 Republic Pictures released a 12 chapter series called "Adventures of Captain Marvel," starring Tom Taylor, a low budget western movie star at the time, as Captain Marvel and Frank Coglan Jr., a popular child actor who had appeared in the "Our Gang" comedies, as his alter-ego Billy Batson. In the Republic serials, Captain Marvel's arch enemy was the masked criminal The Scorpion, who was trying to obtain control of a terrifying and deadly ray gun. The serial was re-released theatrically in April 1953 as "Return of Captain Marvel." Republic had originally tried unsuccessfully to negotiate a deal with National Periodical Publications to bring its "Superman" comic book to the screen. When that effort failed, Republic approached Fawcett Comics about doing "Captain Marvel" and a deal was worked out. National tried legal action to stop production of the series, but failed. About 10 years later after having had more legal issues with National, Fawcett stopped publishing comics. In the '70s "Captain Marvel" was revived and later was purchased by DC. Superman's early screen history began in some animated short films in 1941 and then in live action serials in 1948 and 1950. The first full length feature, "Superman and the Mole Men," was released in 1951. The 58 minute black and white film starred George Reeve as Superman and Phyllis Coates as Lois Lane. It led to the now famous syndicated TV series "Adventures of Superman," starring Reeves, that ran from 1952-58. In 2020 WB has two additional comic book driven films heading for multiplexes – "Cyborg" and a new version of "Green Lantern." "Cyborg" will star Ray Fisher, who will have already been seen in a cameo in that role in 2016's "Justice." Fisher had finished filming that appearance when WB announced plans for him to star in a stand-alone "Cyborg" movie, which Fisher said he hadn't known anything about until a few hours before the announcement. "Green Lantern's" roots are in a comic book series from writer Bill Finger and writer-artist Martin Nodell that was launched in July 1940 in All-American Comics issue number 16. It began publication under its own banner in the fall of 1941. The series has been rebooted a number of times over the years with different lead characters and storylines. A previous "Green Lantern" movie from Warner Bros. and DC Entertainment opened June 17, 2011 to $53.2 million and grossed $116.6 million domestically. Directed by Martin Campbell ("Casino Royale"), it starred Ryan Reynolds as Hal Jordan/Green Lantern and Blake Lively as Carol Ferris. Not much more is known at this early point about either project, but there should be plenty of updates from now until they hit theatres in 2020. Bottom line:Thanks to Disney/Marvel and Warner Bros./DC Entertainment, audiences who enjoy comic book driven action adventures will be spending a lot of time at the multiplexes over the next six years.